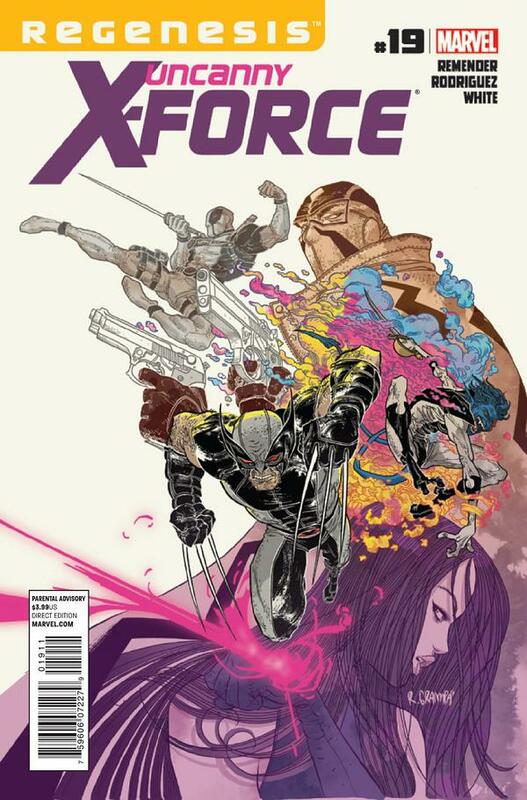 It was going to be difficult to follow the events of Uncanny X-Force #18, but writer Rick Remender continues to impress as the series enters the X-Men: Regenesis era. 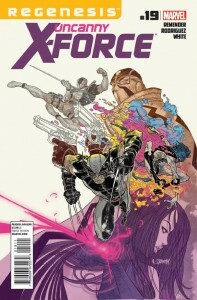 The X-Force team has been put through the wringer and the status quo for a number of characters has dramatically shifted. Issue #19 provides a coda for what’s come before and sets the cast on the next stage of their journey. 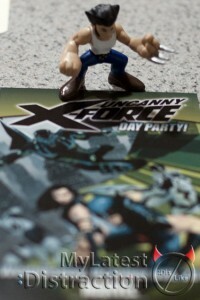 It’s a good example of how the latest X-Men rebranding effort should be applied to a later issue of an ongoing series. Spoilers for Uncanny X-Force #19 will follow. When Marvel’s May solicitations appeared earlier this month a group of books were very conspicuous by their absence. Four X-Men titles (Uncanny X-Men, X-Men: Legacy, New Mutants, and Uncanny X-Force) had no listings and it was clear that something was up. Last week Marvel released a set of teaser images for these titles and they’re giving more details all this week on Marvel.com. 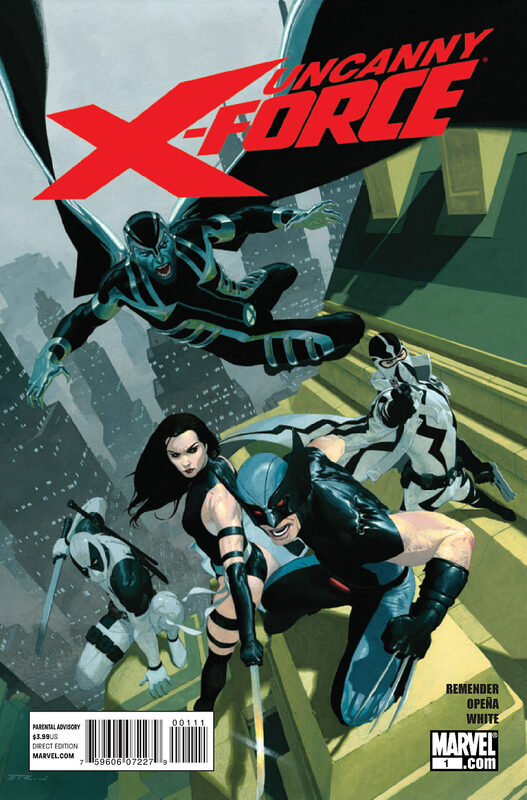 Every day at 3PM Marvel will host a series of “liveblogs” focusing on what they’re calling MMXI: Year of the X-Men featuring X-editor Nick Lowe and the creators behind each of these titles kicking off yesterday with New Mutants.